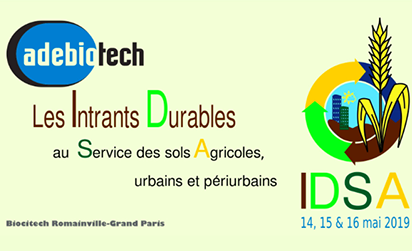 At the initiative of Adebiotech, the IDSA conference will be focusing on sustainable inputs for agricultural, urban and peri-urban land. The aim of this conference is to allow professionals from different backgrounds to exchange on this subject. It will be the opportunity for Algaia to present its range of Alganact plant biostimulants, the results of recent lab and field trials and the methods used to evaluate the positive impact of our seaweed biomass-based products.